RUSH: Rudy Giuliani was on CNN last night, and he made a point of saying that he would have to disagree with Trump that Mueller “acted honorably.” Rudy said he thinks Mueller did some very fine things, but he criticized the treatment of Manafort, thought the treatment of Manafort was way over the top. “I think that that shouldn’t have been allowed.” But I understand what Rudy is saying here. “I would have to disagree with Trump that Mueller ‘acted honorably. '” For one simple reason: He should never have taken the job. If he has all this integrity and all of this honor, he should never have taken the job. And, after the first week, he should have been able to tell there wasn’t any collusion. When he found out — and we don’t know when he found this out. But when he found out the Steele dossier was unverified, had never been confirmed — and couldn’t be confirmed because it was made up, because it was written by Hillary Clinton, in effect, and it had been used to get FISA warrants to start this whole thing — anybody would have said, “C’mon! Are you kidding me? We wouldn’t have a chance of making this case. This thing is a hoax! It’s full of holes,” and that’s what Rudy means here. Fredo said, “Never. I didn’t do anything wrong. These questions are real. They needed to be regarded as such,” and this has been the backstop. The Drive-Bys are saying, “We did some of the finest reporting on earth.” That’s Carl Bernstein’s take. “We did some of the finest reporting…” You didn’t do any reporting! You were a bunch of damn sponges! You didn’t question anything, Mr. Cuomo. You soaked it all up, because you believed it and you wanted it to be true. You didn’t report diddly-squat! They planted a story with two select reporters that the Russians had successfully taken down the Vermont power grid, and they wanted to see if (just on the basis of telling these journalists this) they would run the story, and both of them did. The Vermont power grid was never taken offline. The Russians and nobody else attacked it. They just made it up! They ran a trial run on how easily dupable the media was gonna be, and when they discovered… And they didn’t really need to do much discovery because Obama knew that most of the press were a bunch of sycophants who hero-worshiped him. So they didn’t have any doubt they could string the media along here. Important questions? What important questions? “Well, did the president collude with Russia?” There was never any evidence for this. “Well, I know. That’s why we had to do the investigation.” No, no, no, no. You don’t investigate something unless there is evidence of a crime. The special counsel can’t even be impaneled without that. There never was. There was nothing but a bunch of allegations and innuendo from a bunch of lying snakes. If any journalist in this country had any inkling of how to be a journalist anymore, this thing could have been exposed and blown up within the first week of it. But that was never gonna happen because the media is not media. The media is not a bunch of reporters. They are a bunch of sponges. They are a bunch of receptors, if you will, that accept what they’re fed and amplify it — and they all use the same terminology and the same words. Go back to my opening analogy in the first hour. 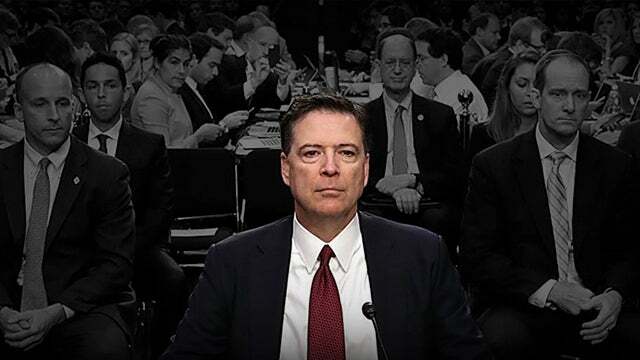 If I had lied to you for two years about something you really cared about — if I had told you for two years multiple times a show every day for two years that I knew Hillary Clinton was going down because there is an ongoing investigation, and said, “It’s being very secret. Nobody’s gonna confirm it, but I can tell you.” If I used your trust, if I exploited and used the trust that you have in me to tell you a total lie and whopper for two years that Hillary Clinton is being investigated and she’s gonna go to jail when this is all over? If I had done for years what these people have done, and if I knew I was lying about it, you would abandon me, and you would never come back, and you might tell all of talk radio to go away. I would apologize. I would try it. It wouldn’t work, but I would apologize. It doesn’t even occur to these people to apologize, because they can’t be wrong. They can’t have been bamboozled. They’re too smart for that. They can’t have been fooled! But it’s not even about that. They were part of the effort. They’re not gonna apologize because they’re not through trying. They’re just going to take a new tack. They’re gonna find a new road, a new route. They’re gonna find some new narrative, some new allegation, some new reason Donald Trump shouldn’t be president, and they’ll try that, because that remains the objective. This one blew up in their faces, but there’s no way they’re gonna apologize for it. They don’t have any guilt. They don’t have any shame. They don’t believe they did anything wrong. They think they were doing the Lord’s work trying to get rid of Trump. They think they were doing the Lord’s work and the work of their masters — and who are the masters? The people that run the administrative state in Washington, whoever they are. Whoever it is that’s respected in that town handing out the orders, that’s who these people answer to. There’s no way they’re gonna apologize, because that would be an admission that they did something wrong — and it’s never, ever gonna happen. Who’s next? Matt in Homer, Alaska. Great to have you with us, sir, on the EIB Network. Hello. CALLER: Hey. Great to talk to you, Rush. I appreciate everything you do. CALLER: Quick question: If Mr. Trump were to take his salary that he hasn’t taken for his entire presidency and apply that to some attorney’s fees and hire an attorney to go after people that are wasting the public’s money on fake news…? Just go after ’em. Let ’em know there’s gonna be some result, some final say, and then who’s to say? You know what I mean? RUSH: Well, everybody has this idea. Suing these people isn’t gonna work. They’ve got a-built-in excuse: The First Amendment. Freedom of the press. You can’t sue them. The penalties have to be professional. The price they pay has to be in money — losing audience, losing salary, being fired, this kind of thing. That’s up to them to police. Now, the Covington kids can sue. They were not public figures before any of this happened, and they were targeted for destruction in identical ways to Donald Trump. But they have standing to sue, and they are. They are suing CNN and they’re gonna sue, I think, the New York Times and Washington Post. They’re definitely suing CNN. But Trump suing these people? That wouldn’t go anywhere. I’ve even had people say, “Well, if he can’t sue ’em, go after ’em on RICO. These people are like organized crime.” They’ve got the First Amendment there, folks, and the First Amendment specifically talks about political speech and freedom of the press — and in political speech, you can say whatever you want to say. That’s not how to deal with this. The media is who it is. 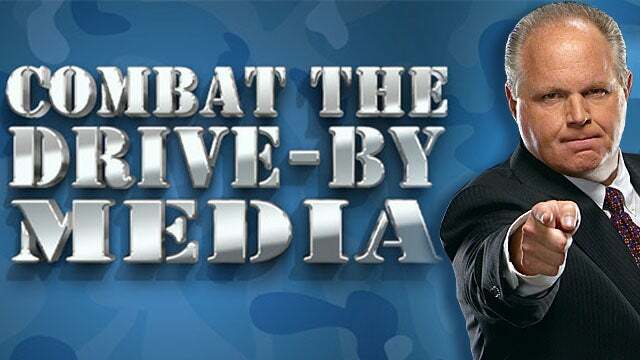 They’re not media. They are Democrat or leftists or however you want to categorize them activists. They are part of the opposition. They need to be politically defeated each and every day. It’s an ongoing thing. They’re no different than defeating the Democrat Party. It’s one and the same, and we’re not suing the Democrat Party trying to beat them. What’s called for is a change of tactics and being a little bit more serious about this. But I understand the sentiment. It’s just not something that would go anywhere. RUSH: Hey, folks, did you see where James Comey says he’s confused by Mueller’s obstruction decision? Comey gave a speech on Tuesday night. He was in Charlotte, North Carolina. Why is anybody asking this guy to show up and make speeches? You know, here’s another question. I was talking about the media. Let me change my scenario one bit. Let’s say that in the two years that I was lying to you about Hillary Clinton being investigated and that I knew she was going down, I had sources telling me the investigation’s moving along and they’ve come up with so much, they know everything she did with the Steele dossier but they’ve got the Uranium One deal down pat and they have all of the data now that they need to send this woman to jail on the pay-to-play, you know, seeking donations to the Clinton Foundation while she’s secretary of state on the come that she’s gonna be president selling policy. I’m telling you all that, but instead of me assuring you that I know it, let’s change scenario to I have sources I trust. I got people I know. I have people I know who are telling me this, and I trust them implicitly. And let’s say that after two years the whole thing is exposed as a fraud, none of it’s true, and I’ve been had. I would be livid. I would be so livid at these people for misleading me. I would be fit to be tied. I’d be apologizing left and right to you. I would be thinking seriously that I don’t know how I can continue. I have just been used for two years. I have just been manipulated. If you’re just joining me, this is a hypothetical. I would have been manipulated for two years by people I trust who fed me lie after lie after lie and I trusted them so much, I told you. And after two years the whole thing blows up and none of it’s true. I would be apologizing, and I would be so livid at these people. My friends who had purposely lied to me and misled me. What if it was an effort to destroy me that I fell for because friends had tried that. My point is that in either scenario, if I made it up and was telling you it was true when it wasn’t, then I would perfectly understand you abandoning me, not wanting anything to do with me ever again, and I’d have to resign. If on the other hand I had been lied to and I never asserted that I know this, I’m being told this by people I trust, I would be livid at these people and apologize to you. So where is that in the Drive-By Media? These people have been played for fools, apparently. They’ve been doing some great reporting, they say. Carl Bernstein, the rest of these schlubs are out there saying this is one of the finest reporting jobs in the American media ever. Really? You got totally played! Where is their anger at all of these intelligence sources? Why aren’t they livid at John Brennan and James Clapper and Comey and everybody else who’s been lying through their teeth to them? Why aren’t they feeling like they have some explaining to do? Why are they not embarrassed that they were so easily manipulated and played? Human nature, if you have any decency at all and you have learned that you have been feeding people lies for two years because you’ve believed lies told to you, man you’d be begging forgiveness, you’d be mad at the people that made a fool of. But there isn’t any of that from these people! They don’t even appear to be mad. They got it wrong! Other than disappointed, they’re not mad at whoever lied to them. They don’t feel the need to apologize to their audiences. In fact, they’re still trying to assume the position that it still may be true and they’re gonna keep digging! Well, I think there are answers to these questions. They weren’t used. They were willing participants. They are on the team of their sources. Because, folks, if they were really reporters, and look at how many of them: New York Times, Washington Post, CNN, ABC, NBC, CBS, MSNBC, Los Angeles Times, you name ’em, they’ve all been reporting the identical stuff the same times of day, the number of times a day for the number of months that they’ve been doing it. They’ve been a steno pool. Why aren’t they livid? Why aren’t they fit to be tied that they were lied to and used? Why aren’t they demanding that heads roll wherever these sources of theirs are? Why aren’t they fit to be tied, and why are they not on television every day exposing the sources that misled them and played them for suckers and made them look like saps? Because that’s not what happened. In their minds, they are full participants. They’re part of the team that tried to get rid of Trump. And the only thing that went wrong here is that it failed. If they were not part of the team, if they were not active participants in this hoax, then they would be mad, and they would be asking their audiences for forgiveness. They would be asking for understanding. They would be outing their sources. They would be so angry you couldn’t see straight. But Dan Rather never was, was he? When he made up that National Guard story. Dan Rather wasn’t mad at his sources for misleading him. They gave Dan Rather an award for that fiasco, created a new award, had a big celebratory dinner to save journalism, to save Rather, to save liberalism. I, on the other hand, I might not even have the guts to face you had I been involved in something like they were. I would be so embarrassed, I would be so mad at myself for falling, for being lied to by people I trusted. But you see, they’re none of that. They don’t feel any guilt. They don’t feel any shame. They don’t feel any remorse. They’re just sad they were not able to get rid of Donald Trump. They’re just sad and frustrated they were unable to reverse the election results in 2016. They were on Mueller’s team. They were trying to do the same thing Mueller was. They’re now in a state of shock that they failed. And the fact that there is no anger and that there is no shame, that there’s no apology, there’s no asking for forgiveness is all the proof you need that these people are part of the organized opposition to all of us. They are not an impartial arbiter or referee reporting the news every day objectively and fairly. They’re not even close. Let’s go to the some audio sound bites. Glenn Greenwald. There are some media people that think that this is the worst day in journalism’s history, that these people have so much explaining to do. There’s not many of ’em. Matt Taibbi is one, Glenn Greenwald is another. There are three or four of them who are just beside themselves over what the rest of journalism has done to the reputation of the business or of the industry. Now, Glenn Greenwald is a militant liberal left-wing ideologue politically. He is the journalist that Edward Snowden confided in after he liberated all that stuff from the NSA. It was Greenwald that helped him publish it, Greenwald that helped keep him hidden and secure, ’cause Greenwald is the kind of guy that would hate the intelligence agencies as invaders of privacy and so forth. GREENWALD: It was continuously on MSNBC, which let me just say, should have their top host on primetime go before the cameras and hang their head in shame and apologize for lying to people for three straight years, exploiting their fears, great profit. These are people who were on the verge of losing their jobs. That whole network was about to collapse. This whole scam saved them. And not only did they constantly feed people for three straight years total disinformation, they did it on purpose. Left-wing journalists with very high journalistic credentials like Matt Taibbi and Jeremy Scahill and many others, including myself, who are banned from the network because they wanted their audience not to know that anybody was questioning or expressing skepticism about the lies and the scam they were selling because it was so profitable. RUSH: Yeah. Look, the executives care about the profitability. The on-air talent could not care less about it. Chris Matthews couldn’t care less about the profitability of MSNBC, and neither could Rachel Maddow. They’re not involved in it. It’s capitalism. They don’t really respect it. It’s a necessary evil. They have to deal with advertisers. That’s not their concern. But he’s exactly right: They wanted no countervailing point of view. They wanted no challenge. 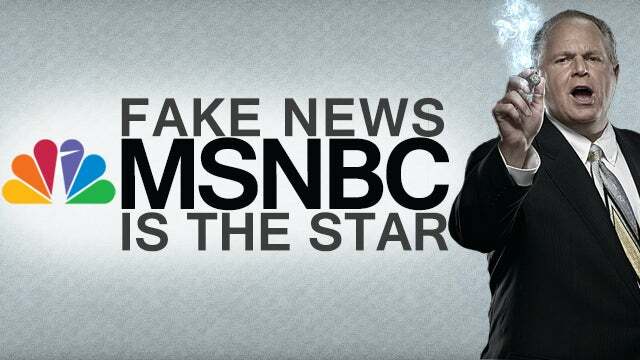 It is true: It was fake news that was attracting the audience to MSNBC. It was not the personalities on MSNBC. We’re gonna see the proof of this. They’re gonna continue to lose audience. The hosts on that network are not enough to attract viewers. The hosts talking about what they care about, whoever’s passionate, the hosts as good broadcasters? Not enough. Rachel Maddow lost half a million people, 20% of her audience in one night (it should have been 80%, but give ’em time), and that’s what Greenwald is saying here. They totally sold out. Now, management may have said, “We need to feed this beast,” meaning this rabid audience that hates Trump. “That’s how we’re gonna get audience and that’s how we’re gonna get advertisers,” but these on-air hosts, they were the true believers. But they’re not enough to carry this network if they don’t have a fake news narrative to feed their audience. Their audience needs fake news. The CNN audience needs fake news. GREENWALD: It has completely corrupted journalism. The whole point of what we were supposed to learn from the debacle of WMDs and the Iraq War — which, by the way, this network that we’re on was one of the leaders of — was the fact that we were not supposed to trust intelligence agencies when they say things about evidence. And not only did MSNBC and CNN use those people as their sources, they hired them as their news analysts! So if you turned on CNN or MSNBC, it was basically State TV. It was CIA TV. You have government officials who spent their whole careers in the Pentagon and the CIA. They’re disinformation agents who now work at CNN and MSNBC, shaping what their news is. And that’s why these channels turned into disinformation campaigns. RUSH: Exactly! They are agents of fake news. 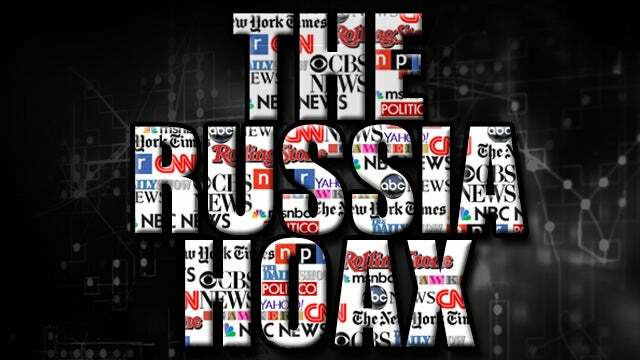 They turn their networks over to disinformation specialists then even hired them. Now, you might think, “But, Rush. But, Rush. Greenwald here has sour grapes because they wouldn’t let him on.” He may have, but he’s not wrong here just because he may resent the fact that they wouldn’t have him on as a guest. Everybody wants to be on TV. Well, not everybody. But a lot of people live for it. In fact, too many people live for it. Too many people think success is a TV gig and a book deal. In a limited sense, it is success. I’m not putting it down. But it’s not advancing a cause, and many of them think that it is. But the point is here, he’s exactly right — and without the fake news and without the disinformation professionals to so-called validate the fake news, these networks have nothing. And note they’re not apologizing, and they are not angry. CNN ought to be livid at Brennan! Brennan’s out there (sputtering), “I — I — I — I — I don’t know. I — I — I was so sure! I was so sure. I must have been fed bad information.” You’re the CIA director for Obama! What do you mean you’re fed bad information? That’s your life is dealing with bad information and trying to wade through it and find out what’s true and what isn’t. “I — I don’t know. I was fed bad information. I… (muttering)” Jeff Zucker, who runs CNN, ought to have told these guys to get the hell out and never come back. John, you ever think maybe that somebody really set you up here? You think there’s maybe somebody in this investigation? Whoever it is that you were relying on to be really sure Trump was gone; it was only matter of time? Somebody’s been lying to you, Mr. Brennan, like a hot knife through butter — and you never knew it! A former CIA director got totally played. GREENWALD: Rachel Maddow gets $10 million a year. She’s a huge corporate brand, and she’s a big celebrity among liberals. So they’re gonna keep her on the air. But I think that they went so far overboard in deceiving and lying to people for so long, I think they’ve completely lost credibility and faith even among their own followers who are now confused and disoriented. And they deserve all the scorn and all the loss of faith and credibility that they’re gonna get. They’re the reason why people don’t trust journalism. RUSH: Well, we’ll see here. I have no doubt that MSNBC thinks they can’t do without their prime-time lineup of Maddow and O’Donnell and Matthews and this bunch. But I’ll tell you something. They’re gonna find out that it’s not the people they hired that were responsible for generating that audience, and that’s when they’re gonna get shocked. 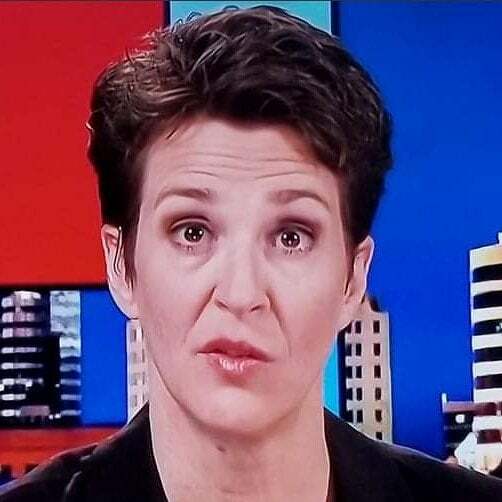 When they realize that Maddow and Matthews are not why people were watching. They were watching because those people effectively spread the fake news! Now the fake news has been exposed as fake news, and who’s gonna trust ’em ever again? They need another narrative of fake news to continue to loop people in and fool them. This is gonna be fascinating to watch, in one sense. 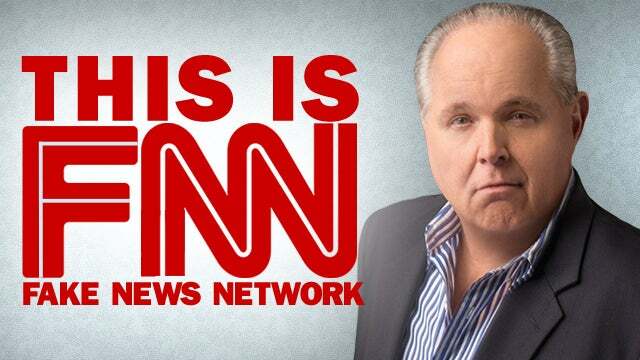 RUSH: By the way, folks, another question about the audiences for CNN and PMSNBC. Why aren’t they mad? I mean, look at all of the leftists that trusted the Drive-By Media presidential polls in 2016. Look at how many polls there were predicting, look at how many individuals on the media, on TV, radio, wherever, every day assuring Democrats and leftists that Hillary was gonna win in a huge landslide. And they believed it. They sopped it all up. They chewed it up and they swallowed it all and they loved every minute of it. But Hillary didn’t win. And she lost in a nearly electoral landslide. They gotta cover that up. I mean, the Drive-By Media blew that. Just given that alone, why did these audiences believe the Drive-By Media on all this collusion stuff? They have been lied to; they have been misrepresented. They have been manipulated with a bunch of stuff that has not borne out. Why aren’t the people…? I think the people that watch MSNBC are starting to abandon them. She said, “I think we do nothing now but concentrate on getting the information, getting that report.” Impeachment has “never been discussed as a strategy for this caucus. It’s only a few of us.” Waaaait a second! So what’s going on? Pelosi has been out there saying, “No impeachment. I don’t want to hear about it. We’re not talking about it.” Auntie Maxine has been talking about it, left and right. She won’t shut up about it. HotAir: Giuliani To Chris Cuomo: When Will You Apologize For CNN’s Collusion Hype?